French animation studio, is strategically aligning with India and Singapore-based animation studio Cosmos-Maya as a co-production partner for a new 2D animation series Galactic Agency, capitalising on the latter’s production expertise. Gulli France is on board as the primary broadcaster of the show. 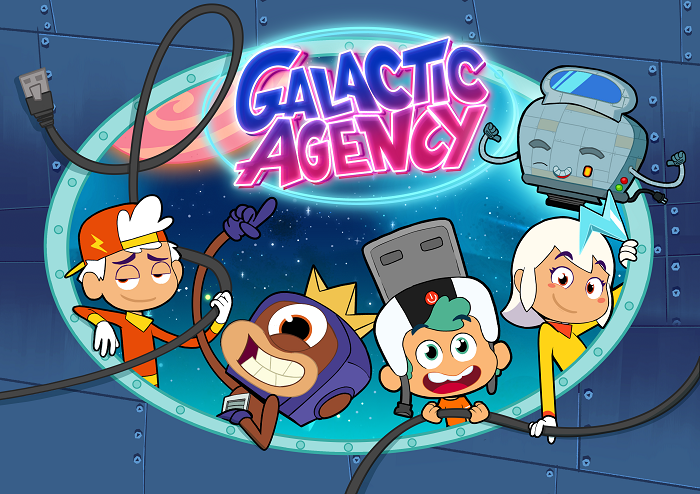 Created by young and talented author, Julie Chabrol and executive produced by Studio 100 Animation, Galactic Agency follows the adventures of a team of extreme repair specialists, featuring Dany the boss, K the hyperactive intern and the twins Apple and Zed. Aboard the Toaster, their hypersensitive spaceship, they will be called on crazy missions across the WashMash Galaxy to come to the rescue and to fix anything. From a diva-whale’s washing machine to King Cheddar the Fifteenth’s robot teddy, there’s always something to do. But in this kooky-quirky universe filled with freaky creatures of all kinds, nothing ever goes as expected! “We are really thrilled to join powerful forces with Cosmos-Maya through this collaboration on our new original series, Galactic Agency. We’re confident that children will love this all-new adventure comedy with the Galactic Agency team and embark on their hilarious journeys through a crazy and inventive world,” Studio 100 Animation managing director and executive producer of the series, Katell France added.